The Suez African and Indian Army War Cemetery is situated on the western outskirts of Suez, about 7 kilometres from the centre. Starting from the Cairo/Suez road which takes you straight from Cairo to Suez. :- At the end of this road you will arrive at a roundabout/T Junction where there are signs in English saying that Suez is around to the LEFT. Follow the road to the left and continue until you arrive at a traffic light, here you must wait and turn LEFT. Follow this road for several hundred metres until you see a large communications pylon to your right. Turn right BEFORE the pylon. 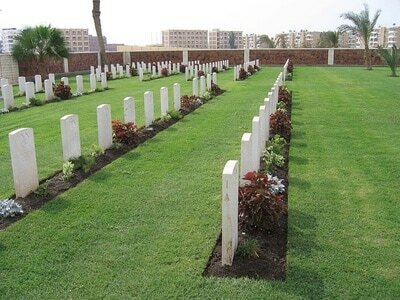 Follow this road until you see the CWGC signs for the African & Indian Cemetery to your right. During the Second World War, a large garrison was stationed in and around Suez. 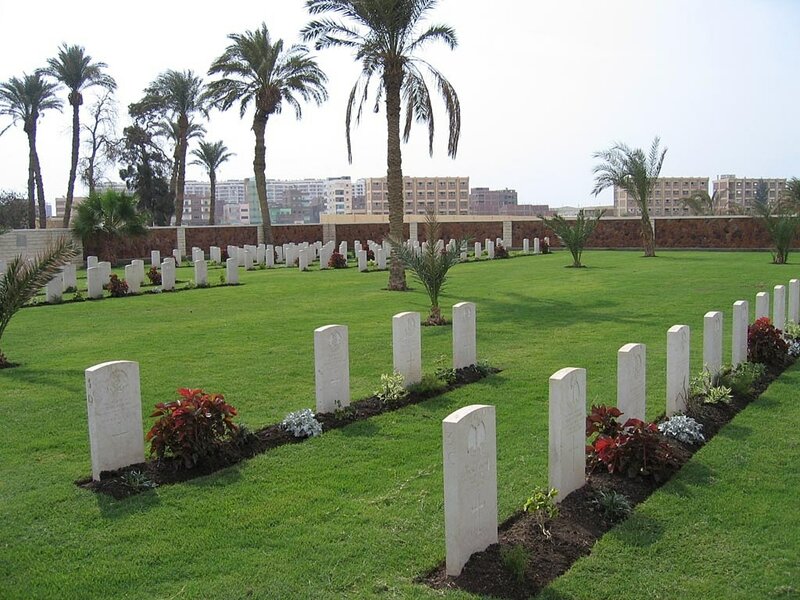 The cemetery contains 183 Commonwealth burials of the Second World War.